9 Tips For the Back-to-School Mom -- Organization is Everything! Well, just about everything. If you’re a mom who’s headed back to school, you want to get serious about time management, delegating, well, everything. Here are nine tips to help you get both you and your children back to school easily, confidently and most importantly, quickly! 1. Ditch Perfectionism. The dust on top of the furniture? Protective covering. Smudge on the front door? All your best friends come to the back door anyway. Perfection isn’t everything, especially when you have a test to prepare for. 2. Delegate. Even young children—and husbands!—can pitch in. And they should, no matter what Mom’s doing. Helping gives children (and Dads) a feeling of competence and confidence which helps their self-esteem (yes, Dads, too). 3. Be Realistic. No one, not even Oprah or Martha Stewart, has it all or can do it all. Don’t believe me? Then tell me why Oprah just gave her best friend a million dollars? For all the help she gave Oprah along the way, that’s why. Celebrities have staffs who do it all for them, they don’t do it themselves—and neither can you, unless you employ a staff of 20 full-time people. Keep expectations of what you can and cannot do in any 24-hour day realistic, and both you and your family will be a lot happier. 4. Flexibility Is Queen Every Day. When you’re juggling school, work and family, you have to be flexible and be able to shift priorities quickly. Think of life as one large yoga exercise, and be ready to bend and stretch as needed, when needed. 5. Play Beat The Clock. Setting deadlines is a great way to motivate you to take care of the most important priorities. Create deadlines for your tough chores and assignments (and your children’s) and put a portion of your time aside each day to tackle the largest ones. This will keep you from getting crazed the night before your midterm when your son’s science project is due the next day. 6. Organize, Organize, Organize. Don’t just talk about it, do it. Pack lunches, lay out clothes, bathe, get book bags ready, and set out dishes and non-perishable breakfast items the night before. This will not only save you time in the mornings, but also make them far less stressful overall. Have a place for everything—make sure everyone knows where those places are, and let them go there all by themselves! 7. Know Your Prime Time. Everyone has a time of day or night when they perform some tasks better than others. For example, studying may be easier at night after everyone’s gone to bed, and mornings are your best time for household chores. Take time to learn what your prime time is for the truly important tasks you need to accomplish daily—then use it to your advantage. 8. Don’t Learn To Say No, Say It! We all know how to say “No”, we simply don’t do it often enough. Don’t let yourself be bullied or guilt-tripped into taking on projects or volunteer work that strips you of valuable time you need to spend elsewhere. You won’t be in school forever, and those volunteer organizations will still be around when you’re finished and have more time. 9. Reward Yourself. You are marvelous, Mom! Just look at everything you do every day—and on top of it all, you’re acing school and making it to your daughter’s swim meets and your son’s soccer games, and on time! Have that bowl of ice cream (two scoops is fine, really), and give yourself a pat on the back. You deserve it! 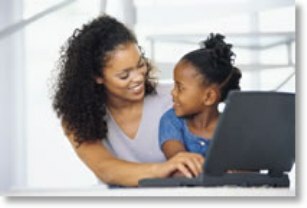 Working Moms Want to Know: Should I Work?